The Eurovision Song Contest 2015 will take place in Vienna on the 23rd of May, as the tradition of last year’s winning country hosting the tournament continues. Surely no-one can forget Conchita’s performance of ‘Rise Like a Phoenix’, to win the competition for Austria last year, and there are an eclectic mix of artists and songs once again this time around. The two semi-finals will take place on the 19th and 21st of May, where the top ten from each section will qualify for the grand final. The hosts, Austria, and the big five of Germany, UK, France, Spain and Italy, all enjoy a ‘protected’ status and qualify for the final automatically. 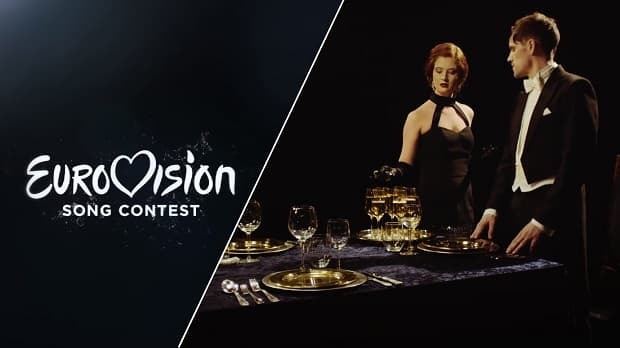 Additionally, Australia have been invited to compete in this, the 60th anniversary of Eurovision, and they have also been allocated a place in the final. Described as the ‘ultimate gimmick’, the decision to incorporate Australia has given this years competition a new dimension, and one of our tipsters has looked at their participation in detail. The recommended bet on Australia to win Eurovision at 8/1 9.00 +800 8.00 8.00 -0.13 looks very good now, with most firms going as low as 4/1 5.00 +400 4.00 4.00 -0.25 on Guy Sebastian’s entry for the Aussies. It’s one of the most popular cultural events in Europe, and one of the most popular novelty betting events on the bookmaker’s calendar too. It’s also become something of a parody of itself these days, where it is less about the song and more about geopolitical allies, although it’s worth noting that much of Europe still take it a great deal more seriously than we do here in the UK and Ireland – which perhaps goes some way towards explaining why neither country has had a winner in the new millennium. Let’s take a look at some of the market leaders, and we’ll explain why we think Norway represent a little bit of each way value as an outsider. Sweden have a rich history in this competition, with ABBA of course, their most famous winners with ‘Waterloo’ in 1974. They’ve won five times in total, with the most recent when Loreen won in 2012, and this year they’ve been installed as favourites with Mans Zelmerlow’s ‘Heroes’. He won the Swedish selection show on his third attempt and will represent his country at the big event. The official fan network of Eurovision (OGAE) vote each year in the build up to the competition, and after 20 juries from various countries have voted, Sweden and Italy are far and away the top two in the ‘opinion poll’. Italy top the fan group ratings with 188 points, with Sweden just behind on 184. The next closest competitor is Estonia with 137. However, it is worth remembering that the OGAE also predicted Sweden in 1st place with Hungary 2nd, and as we know, Austria won with the Netherlands finishing 2nd, so this may not be a good omen for either of Sweden or Italy. Certainly at this point, Sweden look very short in the betting, and are a favourite worth opposing. Unlike Sweden, Italy won’t have to come through a semi-final, as their place in the Grand Final is already secured. Their entry this year comes from Il Volo, the popular Italian pop opera trio who have already achieved considerable success in their own right. They sold over a million copies of their debut album, and received two Latin Grammys nominations and a Latin Billboards Award for Best Act. They’ve been doing particularly well in the OGAE voting, and are almost certain to put in a stellar performance, considering the experience they have of singing on the biggest stages, and they certainly have a good chance of bringing Italy their first win since 1990. One of our esteemed tipsters here at sports betting online has already provided a full brief on the Australian invlovement in this year’s Eurovision, and recommended an early bet on them back when the decision was announced. It has since been revealed that Guy Sebastian will take the reins and perform the Aussie entry, and with over 3 million album sales, six number one singles, and two number one albums, he’s one of Australia’s most famous and celebrated artists. Most bookies are as short as 4/1 5.00 +400 4.00 4.00 -0.25 on the ultimate gimmick paying off, but if you still want to get involved in the bet, Bwin are offering by far the standout price. With the bet on Australia already in a strong position, it’s time to add another horse to the stable, and we’re going to do so with Norway, and their entry ‘A Monster Like Me’. They’re currently 5th in the OGAE rankings, behind Italy, Sweden, Estonia and Slovenia, and although these rankings are anything but reliable, there are plenty of countries who are yet to even receive a point, while Norway have amassed 103. This in itself is probably a good indication that they will make it through the semi-final and take their place in the Grand Final. The song is a duet by Debrah Scarlett and Kjetil Morland, and is a dark love balled that centres on letting go of the one you love. Frankly, it’s difficult to assess songs in the build up to Eurovision, but this one has received plenty of hype and it stands up to any of the other entries. Norway have won the competition three times and can generally rely on ‘friendly’ voting from other Scandinavian countries. Most firms are offering 20/1 21.00 +2000 20.00 20.00 -0.05 on a Norway win, but Boylesports stand out at 28/1 29.00 +2800 28.00 28.00 -0.04 which makes Norway a good value each-way bet to finish in the top four places.